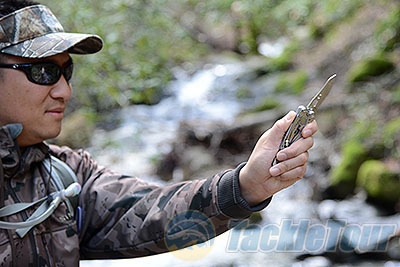 Introduction: Every angler needs a good set of pliers and Leatherman offers a whole assortment that can either fold or slide down for more compact storage and transport. More than just pliers the Leatherman �Multi-Tools� are designed to provide outdoor enthusiasts with a device that can be utilized on a wide variety of occasions. We take a look at one of the company�s newer tools, the Leatherman Skeletool, which offers seven tools all in one compact pocket sized form factor. Impressions: The Leatherman brand has become synonymous with multi-tool pliers and over the years the company has expanded well beyond their original PST tool, which was introduced in 1983, to offer a complete range of multi-tools and knives for outdoor enthusiasts. 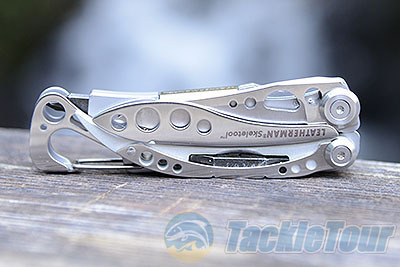 The Skeletool is a pocket sized tool which features seven tools in a compact 4 inch package. Included tools are needlenose pliers, regular pliers, wire cutters, hard-wire cutters, a 420HC combo knife, carabineer clip/bottle opener and a large bit driver. 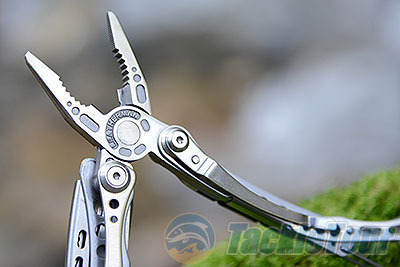 The Skeletool looks much more aggressive than traditional Leatherman tools and like the name implies the design features a minimalistic design which is ported to reduce overall weight. The tool is, dare I say, styled beautifully and is a great example of industrial design. The company also offers a slightly souped up version of this tool called the Skeletool CX which features the same basic form factor but with a carbon fiber handle insert, DLC coating and a more durable 154CM knife. Real World Tests: There are a lot of tools on our test roster but the Skeletool is one we got a surprising number of requests directly from our readers. 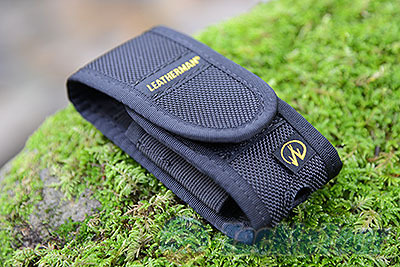 It has been seven years since we last tested a Leatherman product, and our most recent review was the Leatherman Charge Ti which received an Editor�s Choice all the way back in 2005. 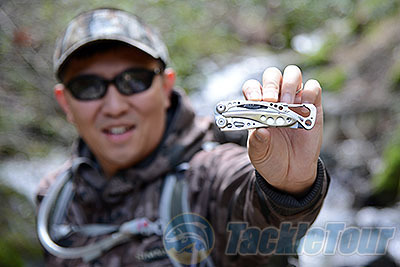 We purchased the Leatherman Skeletool directly from Tackle Warehouse and over the course of the season we used it for everything from fishing to backpacking and everyday tasks both at the lab and on the go. Operation: In hand the Skeletool feels both compact and solid when folded up and weighs in at 5oz. and measures 4 inches long (when closed). The Skeletool we ordered from Tackle Warehouse comes with a holster but I actually found it was easier to simply clip the tool on a vest, belt loop or backpack with the carabineer clip which is built into the end of the tool. By attaching the Skeletool in this way I found that it was both quick and easy to draw the tool when I needed it. 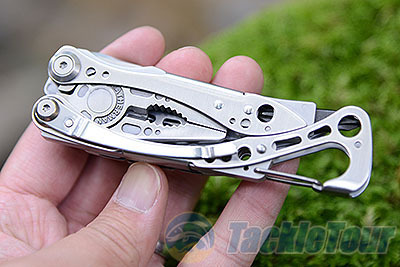 In this stowed position the Skeletool also can be secured into a pocket with the attached clip, which is also removable. To deploy the pliers it does require two hands, which is fine for hiking and camping situations but can be a hassle in a fishing application when your hands may already be full with a rod in one hand and a hooked fish in the other. When using the pliers I found that they only felt comfortable held one way, with the carabineer end pointed downwards as the other direction the tool feels like it is digging into the back of your hand. When it comes to stowing this tool, in situations where you may need the pliers imminently it is possible to leave the pliers in an open position, and you can still secure the pliers on a bag with the carabineer. The knife blade is accessible with one hand when the pliers are folded by simply extending your thumb into the semi-circle hole and pushing outwards and upwards. Once fully rotated into the 12oclock position the Skeletool�s liner lock springs into place securing the blade in the open position. The liner lock proved to be very reliable and kept the blade in place when cutting anything from braided line to whittling down branches when creating walking sticks. When the knife is deployed the tool fits very well in hand and is ergonomically shaped to feel both comfortable and natural in the curvature of your palm.